The Best Commercial Granite Floor Cleaning Bristol Guaranteed. We know how to clean granite that is why we offer you the best commercial granite floor cleaning Bristol deal EVER. If you don’t like our commercial granite floor cleaning Bristol service then you don’t pay a penny. 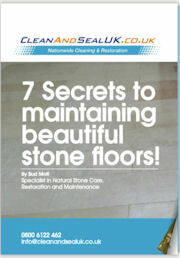 Serious, CleanAndSealUK will bite the bullet and not expect to be paid when we can’t deliver on your granite floor cleaning. Commercial Granite floor Cleaning Bristol Services That Care. When you had your granite floor installed at your expense you made a massive investment in your property, don’t let any old floor cleaning company clean your granite, as easy mistakes lead to costly conclusions, that’s why you need to call CleanAndSealUK, you will feel 110% satisfied with our commercial granite floor cleaning Bristol services. Commercial Granite Floor polishing Bristol. Does your granite need polishing to bring back that mirrored finish? As professional granite floor polishers in Bristol, Bath and the Southwest we can make your floor SHINE! With latest in diamond polishing technology and the no-how, why go anywhere else, CONTACT CleanAndSealUK today to talk to a professional about your commercial granite floor polishing Bristol requirements. Commercial Granite Floor Sealing Bristol. Whatever your granite surface is, it needs protecting, commercial granite sealing is a must if your serious about keeping your granite surface looking good for years, fill in the form to find out about commercial granite floor sealing Bristol services CleanAndSealUK offer across the UK. Is it granite floors, granite countertops or granite worktops that you need restoring?, whatever granite surface you need to be restored just pick up the phone and call CleanAndSealUK, together we can make your granite GREAT.